What is the longest time to break a workout routine without loss of muscle tone? Why would you want a client or member to avoid focusing on weight loss? Grace is a co-host for Health Beat/Your Hometown Show. 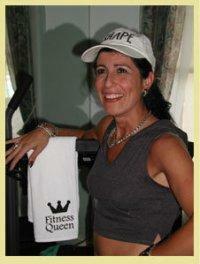 After losing 60 lbs herself and using dance as her fitness regimen, She became certified by AFAA. She has developed a Class called MIND*BODY*HOLY SPIRIT* which builds SPIRITUAL MUSCLE as well as physical as a result of the Inten*Sati training by Patricia Moreno.